4 industrial spring swing chair designed by Herbert and Jutta Ohl in 1984 for Rosenthal. Very comfortable, mobile and stackable chairs made of black coated steel. 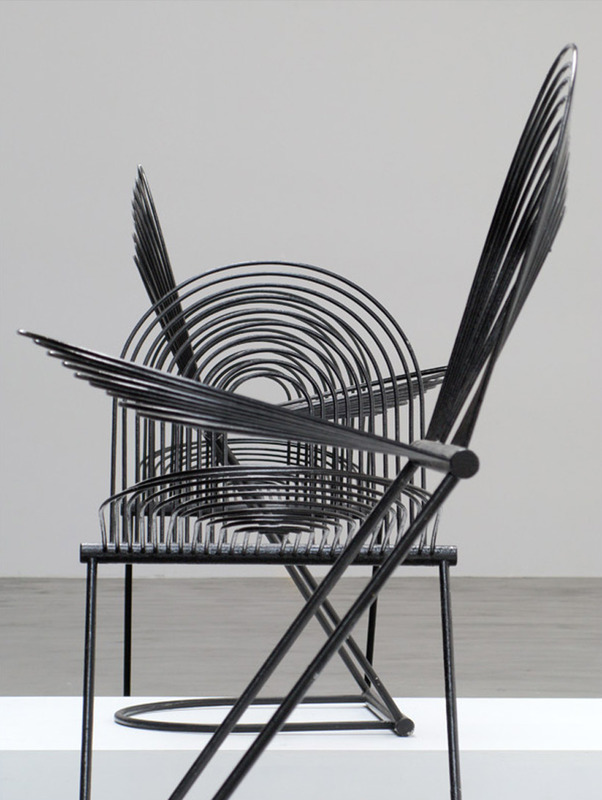 4 chaises industrielle conçu par Herbert et Jutta Ohl en 1984 pour Rosenthal. Chaises très confortable, mobiles et empilantes. Structure en acier.